emperumAnAr is considered as the ultimate path for srivaishnavas for their salvation. This series of articles is a humble attempt to translate the glorious srIsUkthi "charama upAya nirNayam" (Establishing the ultimate path for salvation) of nAyanArAchAn piLLai who is the son of periyavAchAn piLLai. ebook containing all the articles in this series - https://docs.google.com/open?id=0ByVemcKfGLucVHc2cVFfZHA4c0k. 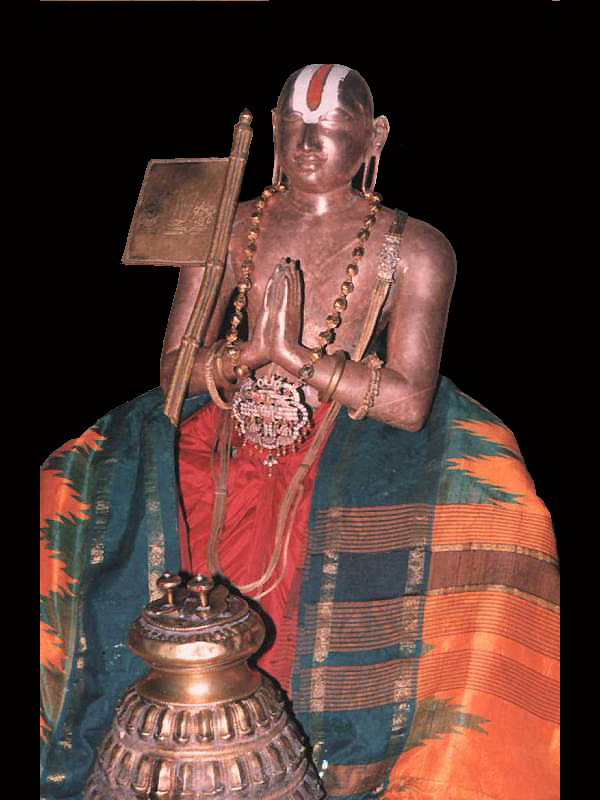 udayavar's uththArakathvam - 1 - http://ponnadi.blogspot.com/2012/12/charamopaya-nirnayam-ramanujar-our-saviour-1.html. udayavar's uththArakathvam - 2 - http://ponnadi.blogspot.com/2012/12/charamopaya-nirnayam-ramanujar-our-saviour-2.html. udayavar's uththArakathvam - 3 - http://ponnadi.blogspot.com/2012/12/charamopaya-nirnayam-ramanujar-our-saviour-3.html. Appendix - Summary of Events - http://ponnadi.blogspot.com/2012/12/charamopaya-nirnayam-summary-of-events.html.